Collaborative Photo & Video Sharing from Social Networks. 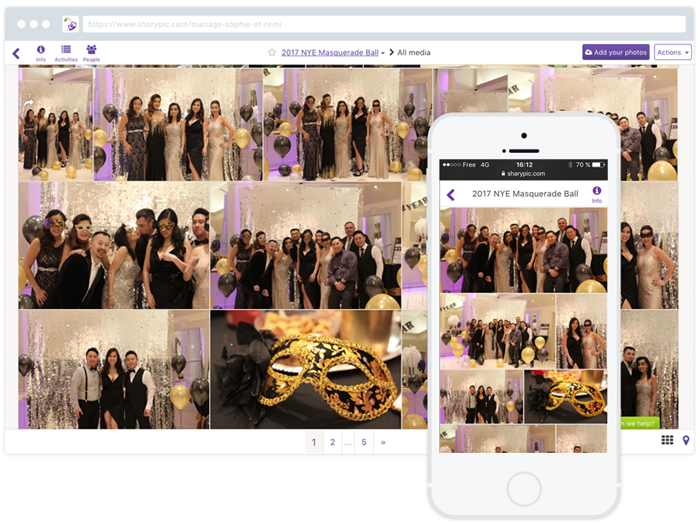 Want to collect all photos & videos of your event spreaded amongst your attendees? Welcome to sharypic, the platform to create memorable events. A single gallery to rule them all: anyone can add his photos & videos, anyone can watch the photos & videos of others. No registration required, neither yet another application to download or pay. Enjoy our unlimitted storage to share and download all HQ photos & videos. To sum up the perfect gallery to re-live the best memories of the big time!